Written by Serena Fischer and Ben Burstein, Capital News Service. Photo by Demi Pradolin, from Unsplash. the future of legal cannabis-derived CBD oil in Virginia. Much was learned. CBD oil: there is a lot of confusion surrounding its legality, not to mention what exactly it is. To provide some clarification, Ellwood Thompson’s held a panel discussion to clear up the truth about some ambiguous laws, and address the controversy that surrounds hemp-derived CBD oil. In order to understand CBD oil and the discussions around it, though, it is first important to know the difference between hemp-derived and marijuana-derived products. Both hemp and marijuana are types of cannabis plant; however, hemp has a lower concentration of THC (the psychoactive chemical) and higher concentrations of the non-psychoactive chemical cannabidiol (CBD). To be clear: you cannot get high from CBD alone. Ellwood Thompson’s panel discussion, which took place on Wednesday, January 23, focused on the legalities around production and consumption of CBD oil in Virginia. Panel speakers included Jason Amatucci, founder of the Virginia Hemp Coalition; Erin Williams, Senior Policy Analyst at the Department of Agriculture and Consumer Services; and Delegate Nick Freitas, a Republican who represents the counties of Culpeper, Orange, and Madison in the House Of Delegates. The panel was moderated by Nick Schroder, a food advocate at Ellwood Thompson’s. CBD oil is popular for its medical benefits. It is commonly used for treating conditions such as epilepsy, chronic pain, depression, and anxiety. It comes in concentrates, capsules, sprays, and vaping liquids. In addition, CBD oil can in be added to foods, lotions, gels, and drinks. Tricia Boor, owner of Apothec, a health and beauty shop in Richmond, attended the event at Ellwood Thompson’s to learn more about how current CBD law applies to retailers. 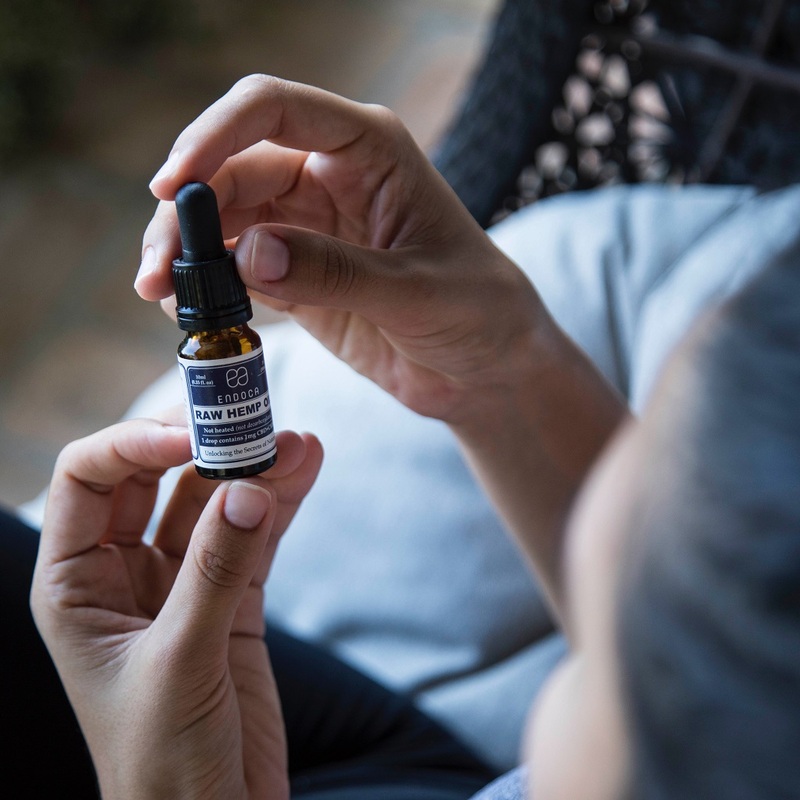 Boor said her customers and patients use her CBD oil-infused products to treat a variety of conditions including psoriasis, inflammation, eczema, and the effects of radiation treatments. Although she wants to take advantage of the medical advantages of CBD oil, Boor has concerns about the legality of selling and marketing CBD infused products. Since 2015, Virginia has been conservatively passing laws on CBD. On the federal level, the 2018 Farm Bill legalized industrial hemp and the production of CBD oil. While the bill does not place restrictions on possessing or transporting CBD oil across state lines, it requires that growers be registered within a research or pharmaceutical program. In Virginia, the production and use of CBD oil is legal as long as the product contains less than 5% THC and more than 15% CBD. Freitas has been working for the past three years to pass hemp legislation in the Virginia General Assembly. This year he sponsored two pieces of related legislation, HB 2346 and HB 1839. HB 2346 sought to redefine the definition of industrial hemp and allow Virginia farmers to grow industrial hemp as a commercial product. This bill was tabled for the 2019 General Assembly session in subcommittee on Monday, January 28. The second bill, HB 1839, would adapt Virginia law to the federal Farm Bill by “amending the definitions of cannabidiol oil, marijuana, and tetrahydrocannabinol (THC) to exclude initial hemp that is grown, dealt, or processed in compliance with state or federal law.” The bill has made it to the full house, and awaits a vote. “I feel very confident… that once we get out of this General Assembly session, we’re going to have very, very clear lines with respect to what is legal [and] what is not legal,” Freitas said. While the use of CBD oil is legal in Virginia, commercialized production is not. Therefore, Virginia’s in-store CBD oil products are manufactured out of state. According to Freitas, the “main roadblock” to legislation in the Virginia Assembly comes from the “philosophical battle” regarding the federal government’s role in regulating hemp production.